HIP-HOP: Our sounds are different! All the big producers didn't become BIG sounding like everyone else! The PRODUCER auto-loading kit comes with .snd files and a .pgm file for the Akai MPC 2000.
drums, sizzlin' claps and more to help make your tracks hotter! Remember what the hottest producers already know....be different. If you want Dr. Dre, Kanye, Neptunes, Just Blaze, G-Unit or Timbaland type sounds...GO SOMEWHERE ELSE! YOU CAN FIND THOSE EVERYWHERE! YOU CAN SOUND LIKE EVERYONE ELSE OR...YOU CAN HAVE OTHERS TRYING TO SOUND LIKE YOU! ADD THESE TO YOUR ARSENAL TODAY! Our sounds have been created by an industry insider who has worked hand in hand with some of today's hottest top producers and artists. NO KIDDING! Note: THESE ARE NOT LOOPS. They are CUSTOM MADE 16 bit/44.1 khz one-shot .wav samples and can be imported to just about any sampler, hardware or software, that can accept .wav files. Customers have asked why don't we have big collections like everyone else? We would rather give you straight killer sounds that are bangin...than to give you a whole lot of filler! All products on this web site are Copyright ©2006 https://www.tradebit.com and PimpMySampler, LLC. All rights reserved. Once you have purchased a sample pack from the site, you can use the samples in any commercial musical production without the need to pay any additional fees or royalties. You may not distribute, sell, rent, lease, sublicense, assign, or otherwise transfer any of the sounds except as incorporated in a production. You may not distribute the sounds independently of a production, or with any directions or instructions as to how the Sounds may be extracted from a production, or with any invitation, suggestion or authorisation that the sounds may be extracted from a production. You may not distribute the sounds, either in native format or reformatted, filtered, re-synthesized or otherwise edited, for use as sounds, multi-sounds, samples, multi-samples of as programs or patches in a sampler, sample playback unit, website or computer. The sounds cannot be used as source playback from ROM or chip sets or embedded in any chip set. Please note that your product license is valid only for the person who made the original purchase and your products cannot be shared with any one else. Due to the issues of software piracy, we regret that we cannot offer refunds or exchanges on digitally downloaded products in any situation. If your samplepack is corrupted you are welcome to download it again. We will happily reset it for you free of charge. By purchasing this product, you automatically and irrevocably agree to these terms. 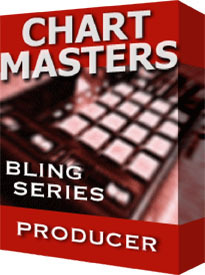 PRODUCER: HIP HOP KIT FOR AKAI MPC 2000 akai;hip hop;samples 2485701 23.99 pimpmysampler Fresh Download Available!